Join the Women's Network Council of the Greater Wilkes-Barre Chamber of Commerce! 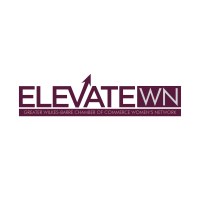 The Chamber's Women's Network Council empowers female professionals in the Greater Wilkes-Barre area, provides opportunities to share information and hear presentations on topics and issues of importance, and gives back to the local community. Greater Wilkes-Barre Chamber Women's Network Council members are employees of Greater Wilkes-Barre Chamber member businesses or individual members.